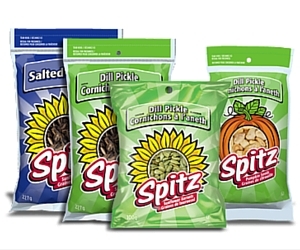 These aren't your mother's chips and dip! 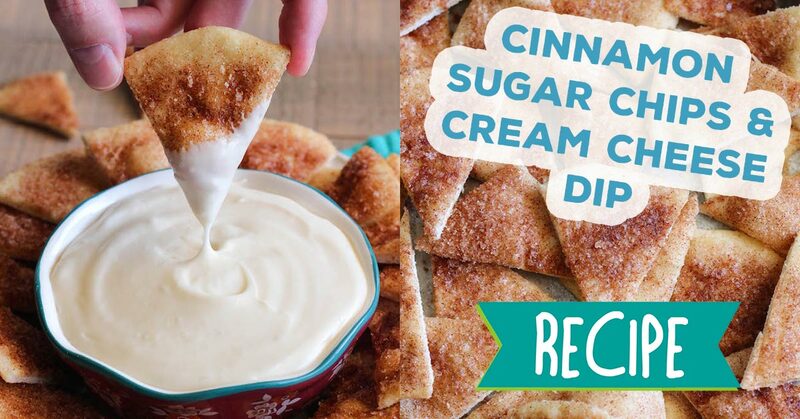 This perfect dessert combines super sweet cinnamon sugar wedges and a rich, velvety, cream cheese dip. Preheat oven to 350 degrees. Place pita wedges evenly on a baking sheet and brush tops with melted butter. Combine 1/3 cup of sugar and 2 teaspoons of cinnamon and sprinkle half over the top of each buttered wedge. Bake in preheated oven for 10 minutes. Flip wedges and repeat brushing with butter and sprinkle the rest of your sugar mixture. Serve with cream cheese dip.